We continued this morning for the brief trip to the larger town of Chateau-Thierry, with just one automated lock and two good height bridges offering little navigational obstacle. 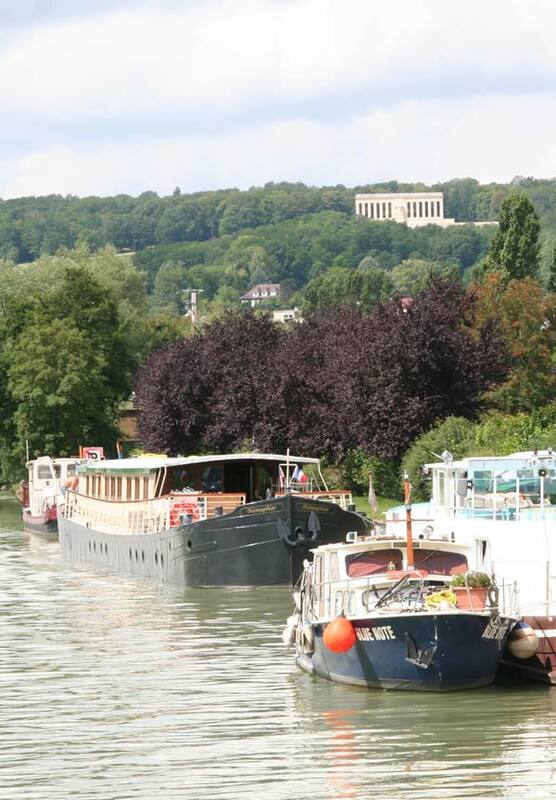 Good facilities are provided here, with two places at the Halte de Plaisance, and a longer stretch of unserviced quay used as overflow and by barge visitors. With numerous attendees at the DBA's Paris rally still dispersing to ports around Europe, we were finding many along our route and no doubt along many others. Arriving at lunchtime we were pleased to find only one of the two spaces on the serviced pontoon occupied, but it was becoming apparent that competition for moorings, if not space on the river, was hotting up as we neared August. Electricity and water here are by arrangement with the Tourist Office, although when we arrived the box was unlocked. Overlooking the quay, on top of 'Hill 204' (so named because it is 204m above sea-level) is the impressive American Memorial, located at the spot where US troops finally took the hill, in July 1918. The 62m long monument was completed in 1929 and dedicated in 1937. Just three years later the memorial chapel at the nearby military cemetery was damaged by a German anti-tank gun. 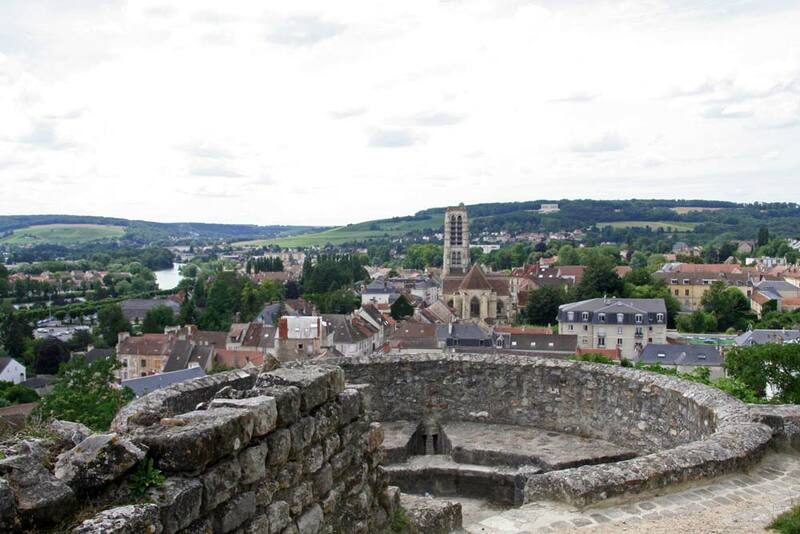 The chateau for which the town is named was originally constructed in 721, and the remaining ramparts dominate the town and offer a commanding view of the countryside. 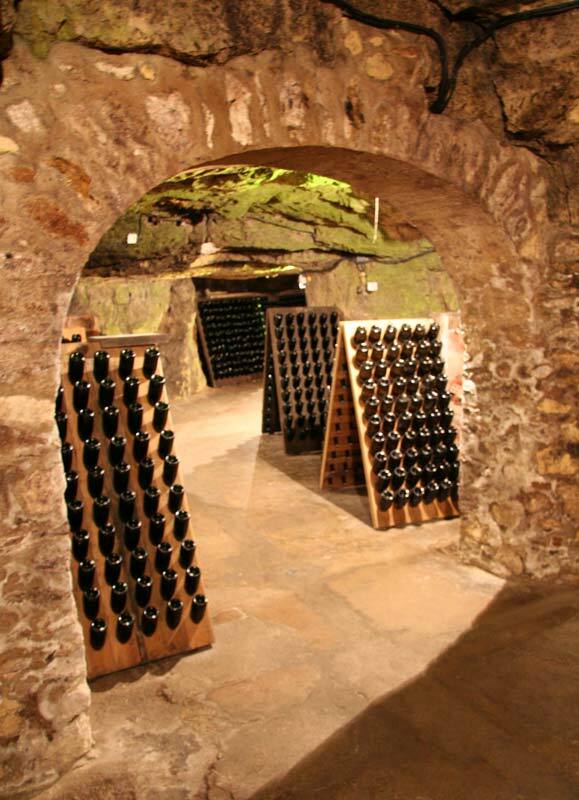 Amongst the town's other attractions are the 12th century caves of the house of Champagne Pannier. We joined one of their guided tours of the 2km underground complex which houses some 2 million bottles of champagne. Each is kept for a minimum of three years, with regular turning and attention, which perhaps goes some way to explaining the premium price which is still attached to the wines produced in this region. A disappointment in what appeared to be a regional centre was the lack of appealing eating establishments - other than the numerous kebab shops and takeaways which did seem to appeal to the majority.